Giveaway: A Right Couple of Mugs and a sappy post. Valentines day is just peeking its pink sparkly face around the corner and so I thought I would treat my lovely readers to a cheeky little giveaway. Valentines for me has never been a big deal, we are not ones for grand gestures or schmaltz on February 14th. My opinion is pretty much that if you are only allowed to be loving one day a year, the world would be a sad old place to be. Plus, our anniversary is in March so we save all of our pennies for a day when we are likely to get a table at our favorite restaurant, not surrounded by other loved up couples making grand gestures. Hoss, my delightful other half (also known as Paulie) has been my boyfriend, best friend, chief recipe-tester, feet warmer, cheerleader, cheerer-uperer, and all round good guy for the past 7 years. His constant support and encouragement has made this blog what it is, I have not always been the most confident person and when it comes to self promotion I am terrible. I am pretty much your typical self deprecating Brit. So, having that person in your corner, telling you they believe in you or that they are proud of your accomplishments is essential. That person for me used to be my Mum, and since she died I have really struggled. Having Paulie and his wonderful family has helped beyond words. So, back to the giveaway. The lovely people at T G Greens have offered up a set of these lovely Cornishware mugs, personalised with yours and your significant others name. Of course it doesn't have to be for a couple, you could get your children's names, days of the week, work or home... Whatever you want really! Simply complete the rafflecopter widget below to enter. UK ONLY - Sorry to my international buds but this ones only for the UK. Competition ends on Friday 1st February. T G Green's provided me with these mugs free of charge, to review and run this fantastic giveaway, so this is a sponsored post. Well, last week started out brilliant! I stuck to the plan, tracked all my pro points like pro. Then an unexpected invitation happened on Friday night, nearly a whole bottle of wine later and I am shoveling crackers into my face at remarkable speed. I tried to get back on the straight and narrow but a nice big roast dinner and a few gin and tonics probably tipped me over the edge. I definitely need to do better in social situations. Anyway, leaving that behind I am looking forward to this week and getting back on track. I am trying to utilize more leftovers and create different meals so as not to get bored. Lets hope I am a bit more disciplined this week. I have been stupidly organised this week! I don't know if its the fact that because I am a Weight Watchers ambassador I feel I have to do well, and in order to do well I need to plan... Or if I am just having one of those rare moments of organisation that usually disappears as quick as it arrives. Whatever is causing this rare bit of forward thinking, I am jumping on it before I revert back to form. So here is my meal plan for the week commencing 14th January. Following feedback from a few I have decided to add back the breakfast, lunch and dinner. Do let me know which you prefer! Now anyone with a basic grasp of maths can see that this does not add up to my full allowance of 39pp per day, but I will use this as a basic outline and add snack and treat where and when I feel. 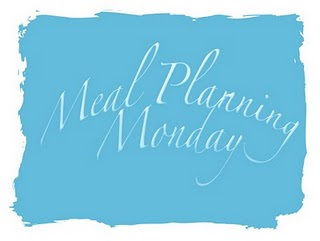 This meal plan allows me to establish a routine and feel in control, so when I do snack or treat myself I know where it will fit into my plan! Also FYI the ready meals I am having for lunches are the chilled ones which are currently only £1.50 each in Asda! Routines: Weight Watchers Friendly Lunches and recipe. One of my biggest problems when trying to eat healthier is lunch, what to have for lunch? I am not the most organised of people, it just doesn't come naturally to me. I wish i was one of those people who puts away laundry the second it is out of the tumble dryer, or does the washing up straight after dinner but I am just not, I accept this wholeheartedly. However, when it comes to lunches I really need to buck my ideas up. Part of the new Weight Watchers programme is all to do with routines, setting up achievable routines which if you do enough will become second nature. On the Weight Watchers website they offer members a routines tool, which suggests handy things for you to do everyday (you can pick the right ones for you), with the hope of them becoming routine. They give you a checklist tool which you can use to tick off when you do it, the app also gives you friendly reminders which is great for me and my fuzzy brain. Eat breakfast everyday - I am terrible for not doing this, and am always reaching for the biscuits by 10:30am. Always have healthy snack to hand - I have a drawer stuffed with various 2pp biscuits, sweets and fruit to reach for on those hungry days. Put down your fork between bites and sip water - I am always in such a hurry when eating, always the first to finish, and always the first to go for seconds. This allows me time to realise I am full and stops me going for seconds. Another routine I am hoping to adopt is preparing a healthy lunch the night before, I am terrible for sleeping a little too long and having to run out of the house, so having something ready to just shove in my bag is ideal. 1. Ham and Egg Salad - One of my favourite lunches recently thanks to Ros and her foolproof egg cooking advice! No more chalky yolks for me! 2. I ate out once in my first week, and opted for a half pizza and salad. A great way to have what you fancy but not use up too many points! 3. Homemade Butternut Squash Soup, so easy and filling, although I need to solve the issue of carrying homemade soup to work. Any suggestions? 4. Roast Aubergine and Pomegranate Salad, a bit of an experiment which worked out well, although I do want to look into potential dressings in future. 5. Weight Watchers ready meal, for those days when I am not very organised! 6. Tin of Soup and Warburtons Danish bread, an easy lunch for a busy day, but not really filling enough for me if I am honest. A low PP lunch time treat. Peel and chop the butternut squash and carrots into chunksPop in a large pan and cover with stock.Add spices and simmer for around 1 hour.Once the veggies are soft and the stock had reduced, tip into blender (or use a stick blender if you have one) and blend until smooth.Stir creme fraiche through the soup and eat with gusto! Do you have any routines? Or are there any you wish you had? Feel free to leave your favourite lunch ideas or blog posts in the comments below! N.B - I had my first weigh-in yesterday and lost 1lb in my first week! Very pleased with that. From previous experience I tend to do better with small but steady weight loss, it is much more realistic for me. Managed to sort of stick to my meal plan last week, but as it was my first week on Weight Watchers I did stray a little and experiment with things. I do like to allow myself flexibility from the plan, as sometimes you just don't fancy what you thought you would, or you get invited to a friends house, or you see a picture of someones dinner on twitter and get inspired! The point of this plan is to give me a guideline of what I have in the house, and what I can make out of it! I am off to a friends house so we are doing a "sort-yourself out" night. I will either eat out or make a quick veggie pasta. I will be tweeting and instagramming my meals using the #WWfooddiary hashtag, as will my fellow ambassadors, so if you need a bit of inspiration, check it out. I have entered my meal plan into Mrs M's linky. Turkey Enchiladas and sorting the post-christmas fridge. Firstly, thank you so much to everyone for their lovely tweets, emails, comments etc... It is so lovely to know that I have a lot of support AND a lot of people who will shout at me if I don't stick to this! Also, to those also following WW or any other healthy plans; best of luck and we can totally do this! OK, motivational speech over with, now onto my first challenge. As part of being a blog ambassador we will be set weekly challenges, I have no idea what to expect with these but the first one seems pretty straightforward; Sort your fridge. I officially started weight watchers on the 1st of January, as I wasn't going to be at work and would more than likely be a little hungover, I knew I would be prone to sitting on the sofa with a pile of leftover Christmas goodies for company. So in the days leading up to the 1st I set about giving my fridge an overhaul, throwing out any food past its best and making healthy meals with the rest. A great, healthy way to use up leftover chicken or turkey. Shred the meat and stir in the pasatta and spice mix.Spoon the mixture onto each tortilla and roll, laying then seam side down in the bottom of an ovenproof dish. Pour the remaining sauce/meat mixture over the top of the enchiladas and top with cheese.Bake at 200C for 25-35 minutes, until the top is golden and crisp. If I was cooking this just for me, I would add a bucket load of peppers, onions and mushrooms but as the boyfriend doesn't eat vegetables I would serve with a salad or roast the vegetables separately. This is a very adaptable recipe, so you can stuff them with just about anything! You could even go without the cheese if you wanted to save a few more PP. We prefer the Old El Paso Chilli seasoning mix, it is smokey and subtly spicy without being overpowering, you could use your own spices if you prefer but I highly recommend this one. These are also lovely the next day warmed up for lunch. Did you do anything healthy with your leftovers? Feel free to share your tips/recipes/posts below. Lunch: I tend to sleep in and have breakfast late, so no proper lunch, will snack on fruit and maybe two slices of toast for 5pp. I am going to try wither poached pears, or a oaty pear crumble for pudding. I estimate this to be 10-12pp depending on the recipe, will blog this once made. I am allowed 39pp daily, so I have gone under everyday. I found the last time I did weight watchers my plan would be under each day to allow a little room for snacking or spontaneous plans which might crop up. I usually add this to my planner after the event. Considering how I do this I am wondering if I should make my meal plans retrospective? Perhaps team it up with my weigh-ins to help show how my week has effected my weight? What do you think? As the month goes on I will blog my recipes so you can see where the Propoint values come from and if you fancy, make them yourself! I will also be adding exercise gradually.